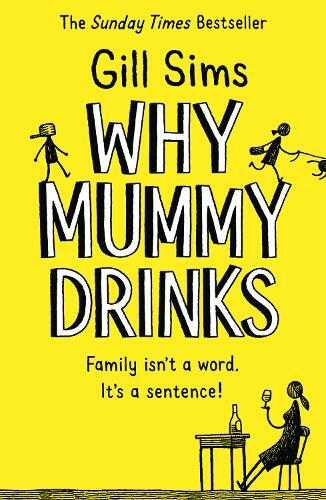 The author of the hilarious novels Why Mummy Swears and Why Mummy Drinks, Gill Sims, tells the real - sticky, glittery, sleep-deprived - truth about Mother's Day. 1. Mother’s Day is about mothers. Maybe, when your children are older, Mother’s Day will become about you, but when your kids are little, it’s really all about them. 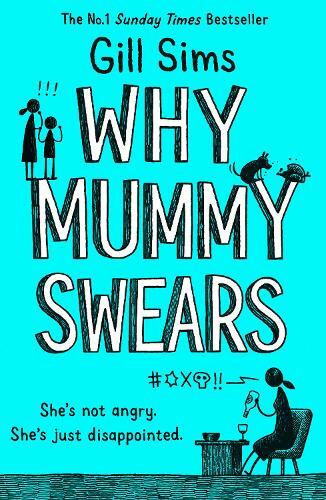 This isn’t necessarily a bad thing, and in fairness, most children try very hard to make it about their mums, but the reality is that you spend most of the morning exclaiming with joy over their (usually sticky) offerings and assuring them that you are having the Best Day Ever, before either it gets to lunchtime and they completely forget that it is still Mother’s Day, or you are ‘treated’ to a special Mother’s Day lunch out which mainly consists of listening to Other People’s Children fighting as well as your own. On the plus side, Mother’s Day does teach your precious moppets to think of others, and to try and do nice things for you. On the downside, they usually make an enormous mess in the process, which you have to tidy up. 2. The best gifts are homemade. 3. All you really want for Mother’s Day is a lie in. Well, yes. But an actual lie in. Where, you know, you get to sleep. In peace. Without feeling someone leaning over you, breathing heavily and stage whispering ‘DO YOU THINK SHE’S AWAKE YET?’ Or lying there with your eyes firmly shut but twitching as you hear WW3 break out because someone looked at someone, and wails of ‘IT’S NOT FAIR’ drift up the stairs. 4. Breakfast in bed is a huge treat. In theory, yes. Breakfast in bed that consists of Eggs Benedict, served up by a shirtless Jamie Fraser…sorry, where was I? Oh yes, breakfast in bed. Mother’s Day breakfast in bed tends towards the more dubious end of the breakfast spectrum, especially if your cherubs have made it All By Themselves, and therefore have had to get a bit creative since they aren’t meant to use the stove or the kettle unsupervised. Nonetheless, you eat it anyway, and declare it to be the most delicious thing you have ever tasted, even if it looks and smells like cat sick, because it was made with love and that is what matters. However, you might make a mental note hide the eggs and just get a packet of Pop-Tarts or something in for next year’s breakfast (do they still even make Pop-Tarts?). 5. Everyone else is having a Perfect Mother’s Day and being Spoiled Rotten. They’re really not. I think social media is largely to blame for the rise of this competitive attitude to life-everyone might be posting their #soblessed and #makingmemories photos on Facebook and Instagram, but for every person who is actually having a completely perfect day, whose children have not had a cross word and who did have Eggs Benedict served up by Jamie Fraser, there’s at least another dozen or more who are only showing you the highlight reel of their day, while they google ‘Can glitter give you thrush’ and suggesting that if their offspring cannot say anything nice to each other, they should just not speak to each other at all. But seeing all those photos of other people’s apparently perfect days, when you can’t even get a wee to yourself, let alone a relaxing bath, can make you feel a bit inadequate, so just remember you are far from the only one whose day does not look like the pastel toned adverts and who is hiding in a cupboard eating chocolate biscuits so you don’t have to share them with your children.